Pretty Wellington waterfront was still standing there, being all pretty and stuff. It’s day 7 of the Cold of Doom (I’m sure that’s the correct medical term for the crap I’ve been going through in the last few days) and the marathon is now less than 4 days away. BRB, off to scream into a pillow. Right. Sick, feeling like crap, with a marathon this weekend. Not the best state of affairs but I think I’m doing a pretty good job at acting like this isn’t a big deal. This tapering thing is easier to do while you’re sick because, well, I have no other choice but to get in bed with a box of tissues pretty much as soon as I get home from work every day. It’s getting kind of boring, though. I’ve found myself with far too much time in my hands to stress about how the Cold of Doom is the worst thing that could possibly happen to me just before the marathon (except for, maybe, double leg amputation, I suppose). My lungs are my main worry whenever I run, even when I’m healthy, so the fact that I am one giant bag of snot right now isn’t doing much in the way of keeping me positive about this coming Sunday. But enough of that. Let me take a break from feeling miserable about life, the universe, and everything. I realised I hadn’t talked about my last half marathon here yet so, instead of running (which I can’t do right now), let’s talk about running. It was almost two weeks ago now that I flew to Wellington for a 24h trip to run the ISC Lenco Half Marathon. It wasn’t the first time I flew to the capital on purpose for a running event but it was the first time I made such a last minute decision to take a trip like that. It was totally worth it but I returned home completely shattered. The whole thing about running an event out of town is that you feel like you need to get out sightseeing to make the most out of your trip. Your brain says walk around looking at pretty things, your post-half marathon feet say “put us up now!”. It wasn’t my best half marathon but it also wasn’t my worst. I was 3 minutes slower than my current fastest time but I wasn’t expecting any great times from this one anyway. I had already bitched and moaned about flat running courses here before when I wrote about the other Wellington Half Marathon I ran, and this one shared most of the same route so I knew what I was in for. The medal mentions the Round the Bays event, in which the ISC Lenco Half Marathon was included. The event was very well organised. Then again, the registration packs included a little Whittaker’s chocolate bar so they could have failed at everything else and I would still say wonders about the whole thing. It included a finisher’s medal, which is very, very rare for half marathons in New Zealand, and that was a nice touch. The only issue was that you had to walk over to a tent and stand in a queue for ages, then tell them your bib number in order to get your medal. Two little problems with this: 1) it kind of takes the shine away from the whole “earning” the medal thing, if you have to stand in the queue like you’re about to purchase it. A much better idea would be to just hand them to finishers as they cross the finish line. 2) I’m not entirely sure they were about to know for sure that I had, in fact, finished the run. I could have picked up my bib at the start line and headed to the tent to pick up the medal a couple of hours later. Again, handing them out at the finish line would be a much better way of ensuring that finisher’s medals were going to finishers, not just entrants. Other than that, the event was great and the atmosphere at the finish line was really good. Wellington put on its best weather and I spent the rest of the day wandering around the city (my Fitbit recorded a total of 38km covered that day, including the 21km of the half marathon), checking all the artsy stuff (yep, I have a Communication *and Culture* degree but describe it as “artsy stuff”. Sorry, mum and dad), and eating everything in sight, before heading to the airport to drink all the wine at the Air New Zealand lounge. The end. Now if you’ll excuse me, I’ve gotta blow my nose. 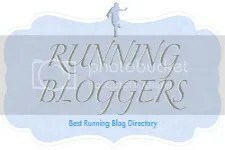 Categories: running | Tags: fitness, half marathon, marathon training, race recap, running, wellington | Permalink. 7 days of the Cold of Doom? WOW. Think of it this way – at least you don’t have some intestinal bug and are fighting to keep food in you and stay hydrated (and wondering whether you’re going to have to run 26.2 while clinching). Just sayin’. Best of luck and rest up! I hope your Cold of Doom goes away! I’ll send my magic “cold go away” vibes down to you. It worked for me over the weekend – I felt dreadful every day leading up to and have felt bad every day since my half, but somehow felt miraculously not ill on the morning of my race. I think breathing in humid air really helped me – maybe you should just steam your face a lot between now and Sunday! Wonderful recap. Congrats on your half! I like that half marathons seem like a realistically achievable distance. I’d love to do one down the road.